I was asking myself this question because as I described earlier I’ve been thinking about getting a charcoal smoker for our small front garden and I want to make sure I get the best charcoal smoker that I can afford. So with all top 5 things considered when buying a charcoal smoker, I checked out Amazon to see what they have to offer and what people are saying. And the one they’re listing as their best seller is the Weber 721001 Smokey Mountain Cooker. Indeed it has a full 5 stars from hundreds of customers so it’s looking good at under $300. Note: Amazon change their prices regularly so check out the latest price for the Weber Smokey Mountain by clicking here. Nearly everyone gives it 5 out of 5 and the others are 4 out of 5 (one person is saying that Weber’s customer service is rubbish but obviously i can’t comment on that yet). 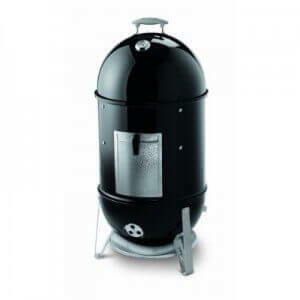 So how does this smoker stack up when I go through my top 5 things to consider in a charcoal smoker? Heavy gauge steel or good insulation? Yes. It’s made of porcelain-enameled steel which means, according to my research, that it is a very good insulating barrier. 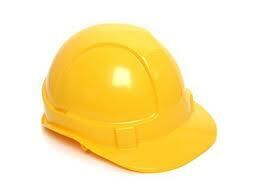 Covering steel with porcelain enamel seems to be used in industry a lot for insulating purposes. It’s vertical which is what I’m looking for. I don’t really fancy a horizontal one and besides to get a good offset smoker you have to pay a top price. Stainless steel hardware to resist corrosion? Yes. Well, it’s not stainless steel but just as good. The grills are nickel plated and the vent and fuel door are “no-rust aluminum”. The rest is porcelain enameled including the water pan. Will it fit in my garden? Yes. Since it’s vertical I don’t need much floor space for it. It’s 19 by 19 by 41 inches. So 19 inches wide will fit fine in my little garden. Ability to control the temperature? Yes. It has a built in thermometer! Cool. That saves me having to buy an extra one. People who have left reviews and mentioned temperature have said it stays consistent and is simple to control. So it’s looking good. It’s not the cheapest one by far but it’s a lot cheaper than a horizontal offset smoker. Looks like good value to me. Do you have this smoker and like/dislike it? If so leave a comment please! Posts related to What's The Best Value Charcoal Smoker? One Response to What’s The Best Value Charcoal Smoker? The Weber Smokey Mountain is a great grill for the price. However, you REALLY need to invest in a good digital thermometer if you want to consistently produce good barbecue. The WSM does not have a hole through which to run the wires to the probes of a digital thermometer, but there are work arounds. The aluminum door to access the charcoal leaks air making it more difficult to keep the temperature down around 22d degrees. The lid rests inside the perimeter of the smoker instead of extending over the sides, allowing rain water to seep in. For the same money you can get a Weber One Touch Gold grill and a Smoke EZ converter that make a bullet smoker that solves the problems with the WSM. I personally prefer this option (I use it all the time), though there is no direct access for loading additional charcoal (however, that hasn’t been a problem for me. It smokes for 6 hours easily, enough to do ribs. I finish briskets on my Weber Genesis propane grill).